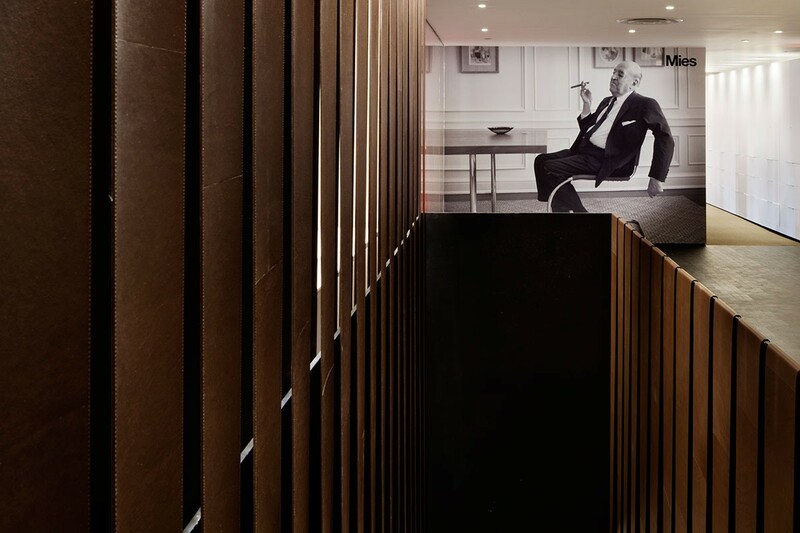 When Knoll moved their offices and showroom to midtown Manhattan, the 75-year-old company saw an opportunity to more fully integrate its specialty businesses as Florence Knoll had envisioned. Architecture Research Office worked within the company’s holistic approach to space to showcase a dynamic workplace that engages workers through materials, color, texture, and pattern. 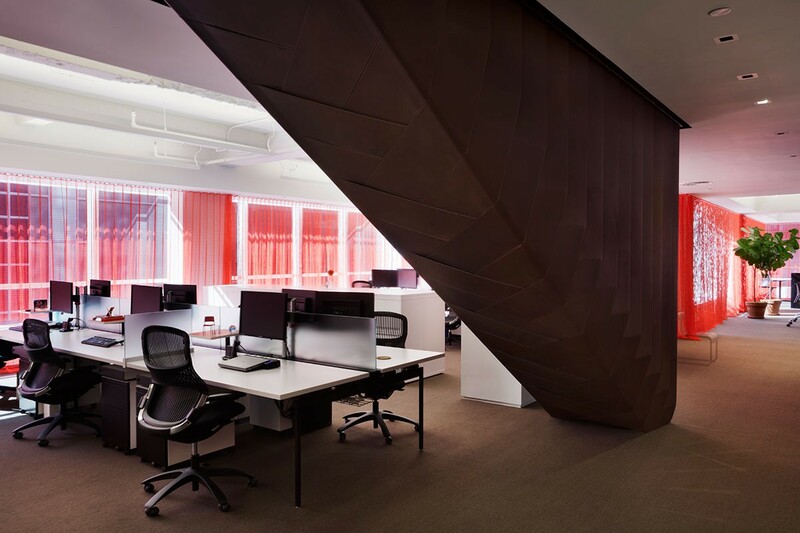 A dramatic leather-wrapped custom stair connects the sales and marketing staff on the third floor to the executive floor above. This stair is wrapped in layers of Copenhagen. 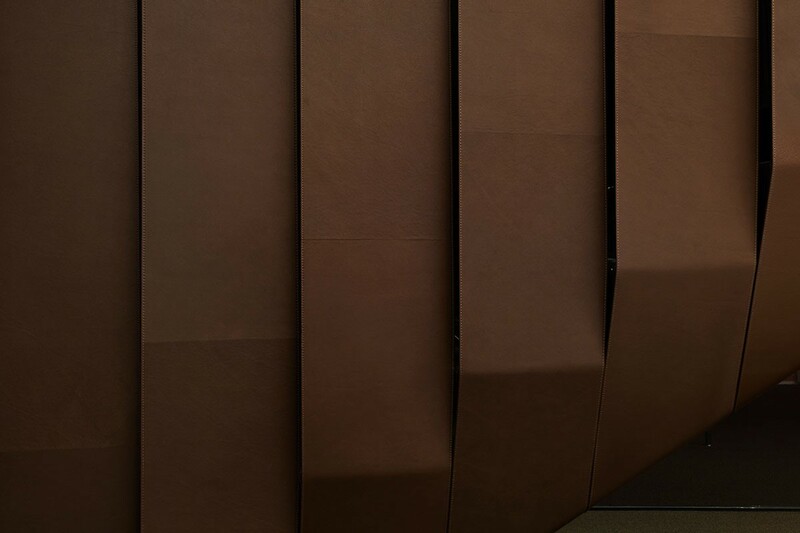 The leather is stabilized with a stay material and the layers are stitched together and then hand-wrapped around the steel stair. Spinneybeck can provide full custom fabrication and installation services. For more information, please visit the About Custom About Custom and Copenhagen (CO) product pages.